I wanted to make some Easter treats with the kids, so I came up with these cute “Bunny Bait” bags that look like carrots. 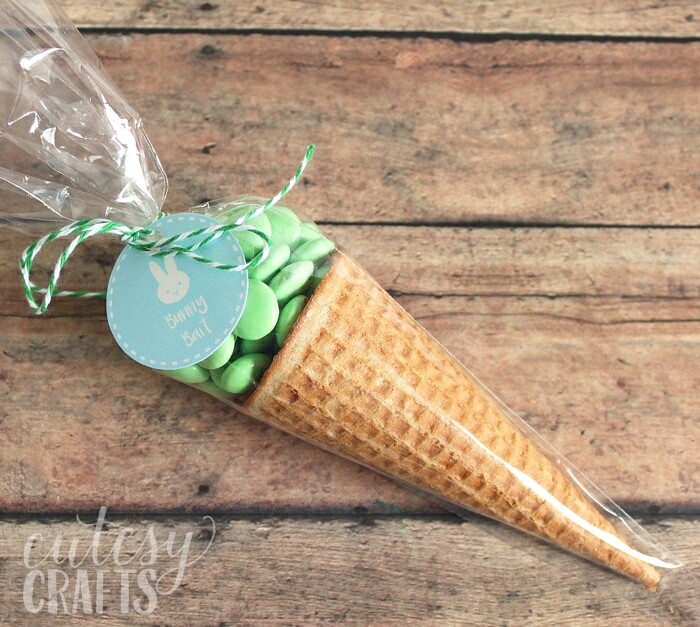 These are so simple; you just need some M&M’S, ice-cream cones, and treat bags! The kids enjoyed helping me make (and eat) them. They would be great for giving to friends or teachers, and would be a perfect Easter basket addition too! 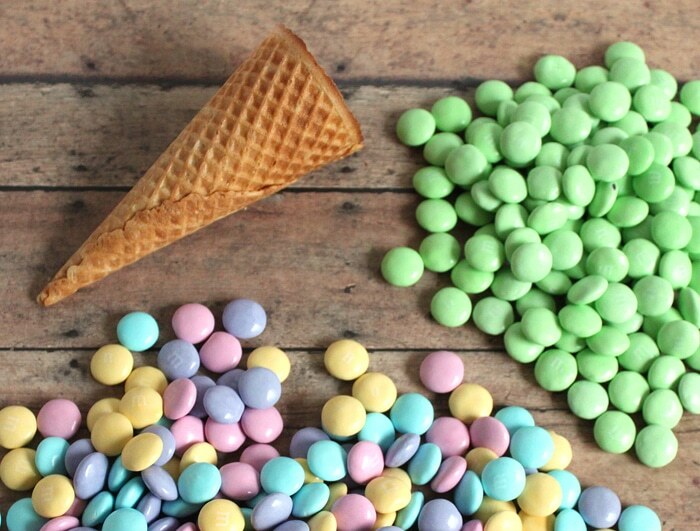 You wouldn’t think it, but the combination of eating the M&M’S with the ice cream cone is delicious! Seriously, my mouth is watering just thinking about it! Yum! I also provided some free printable tags for you to download here. I bought some big bags of Easter M&M’S and separated out the green ones. If you want to make a bunch of these, I suggest getting some from a place that you can pick out the colors, so you end up with more green. I love the pastel colors of these Easter ones, but you can use regular ones as well. 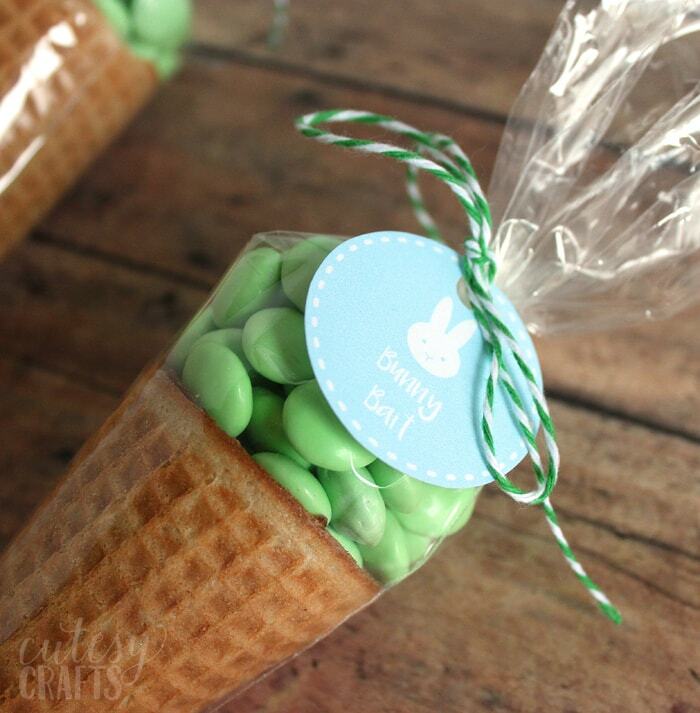 Put the cone inside of the treat bag. 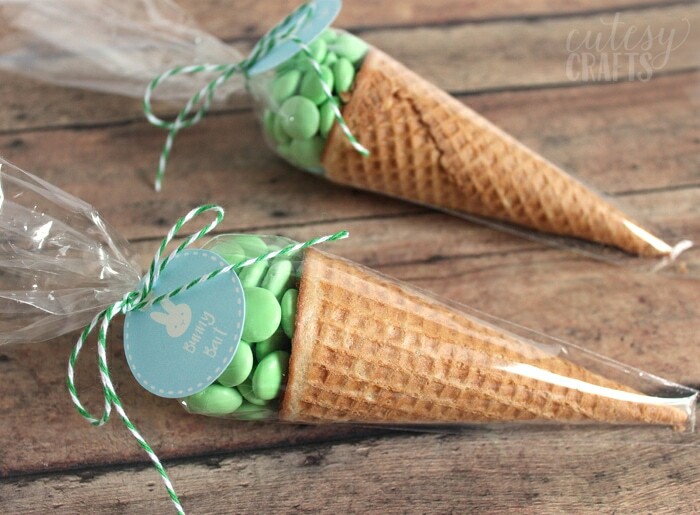 Make sure the cones you get are smaller sugar cones and not the big waffle cones. 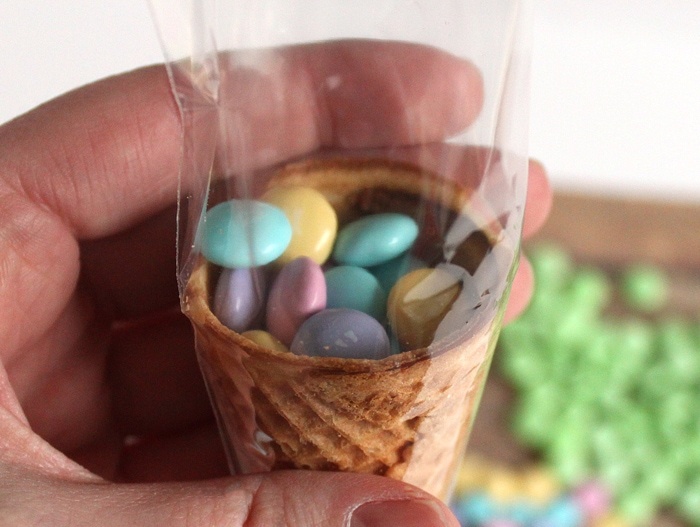 Fill the cone with any color M&M’S. 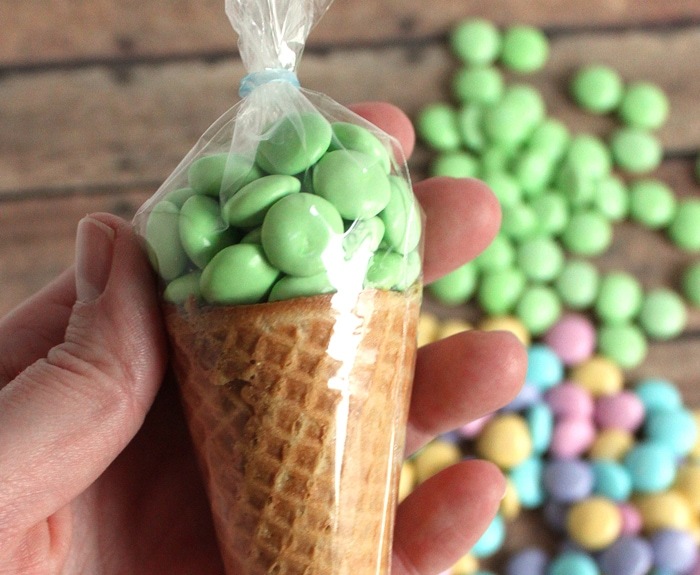 Grab a handful of green M&M’S and put them on the top. Twist the bag and tie it with some string or twine. I used some pretty, green baker’s twine. You can also use a small rubber band if you want to make sure it’s nice and secure. Attach a tag, and tie the twine in a bow. That’s it! 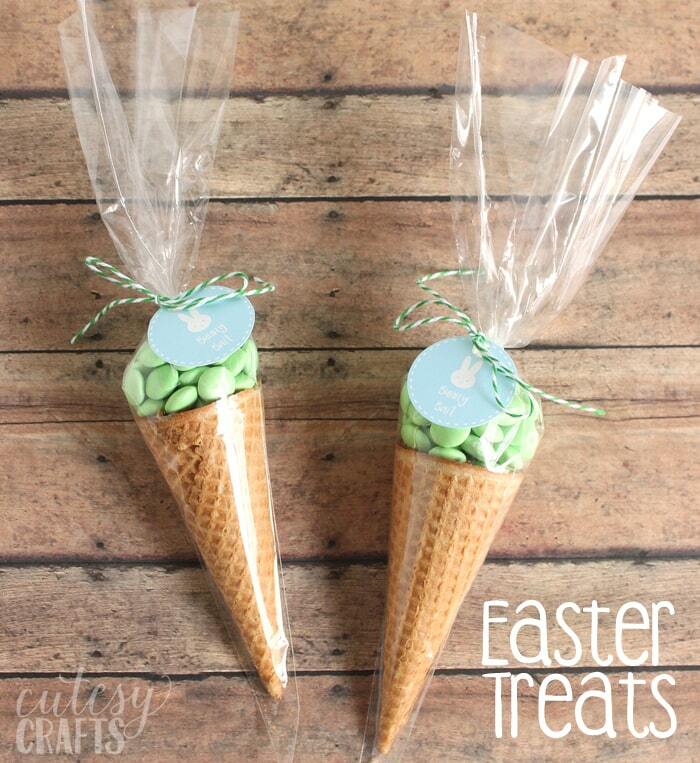 Such fun Easter treats! 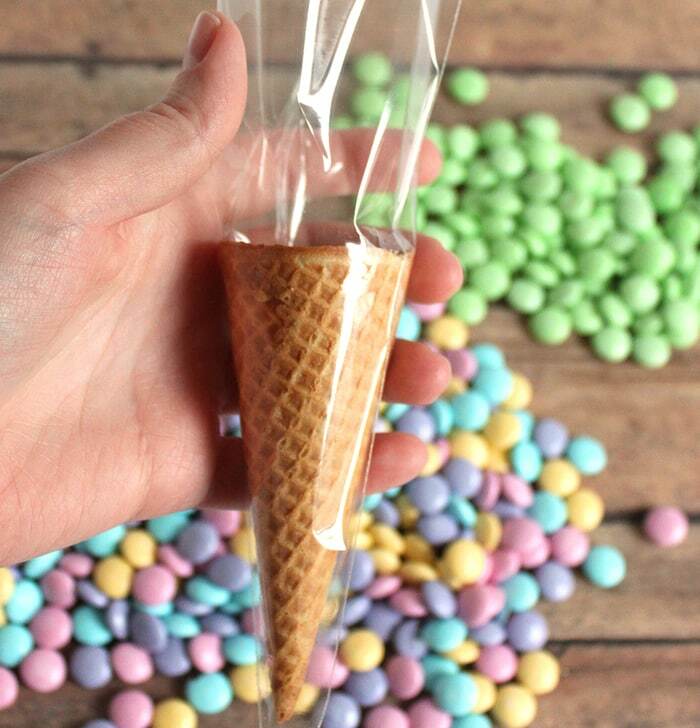 Where do I buy the clear cone bags? There’s a link in the post to some on Amazon. I think I got these ones at Michael’s.